The news comes in the wake of Sony's decision to cancel the release of its film "The Interview," which involves a fictional, CIA-sanctioned plot to assassinate North Korean leader Kim Jong-un. The hackers had previously threatened a violent response if the movie was released -- recalling the September 11 attacks -- and the country's largest theater chains decided to drop the film from their venues. "We have found linkage to the North Korean government," said a US government source. Speaking to ABC, President Barack Obama said threats by hackers shouldn't keep Americans from watching movies or going out the rest of the month. Additionally, some officials do not want to divulge too many details regarding their investigation, since North Korea's computer networks are extremely difficult to breach and they don't want to inadvertently reveal their methods. In a separate report by ABC News, US officials said the government believes that "Bureau 121," a highly capable North Korean cyber unit, could be behind the attacks. They also said there is evidence indicating the hack was "routed through a number of infected computers in various locations overseas, including computers in Singapore, Thailand, Italy, Bolivia, Poland and Cyprus." Although there have been numerous embarrassing revelations about Sony's Hollywood business in the days following the hack, the situation took a dramatic turn on Tuesday when the hackers threatened violence if "The Interview" was released. Should the movie come out as scheduled on Christmas Day, "the world will be full of fear," the hackers wrote on Tuesday. "Remember the 11th of September 2001. We recommend you to keep yourself distant from the places at that time," they said. "Whatever comes in the coming days is called by the greed of Sony Pictures Entertainment." While the Department of Homeland Security continues to say there is "no specific, credible threat information" regarding an attack, the US' largest theater chains decided to pull the movie. On Wednesday, Sony officially canceled its December 25th release. 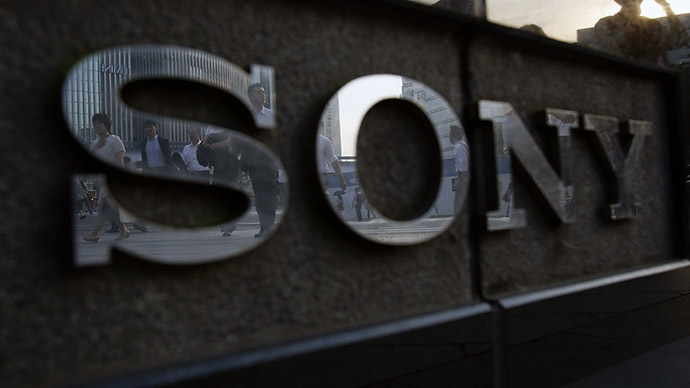 “Sony Pictures has been the victim of an unprecedented criminal assault against our employees, our customers, and our business," the company said in a statement. "Those who attacked us stole ourintellectual property, private emails, and sensitive and proprietary material, and sought to destroy our spirit and our morale – all apparently to thwart the release of a movie they did not like."